Dyed and natural color wool, curly braided roving. 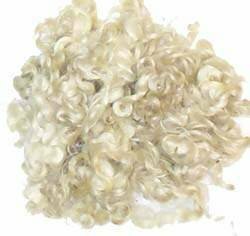 Curly Locks are cut right from the sheep and roughly washed, leaving the original waves and curls in the wool. Braided wool roving unbraids to form wavy hair for dolls and doll beards. Curly, uncombed,rough wool roving locks cut right from the fleece and washed. From Border Leicester sheep, note colors will vary from bag to bag. 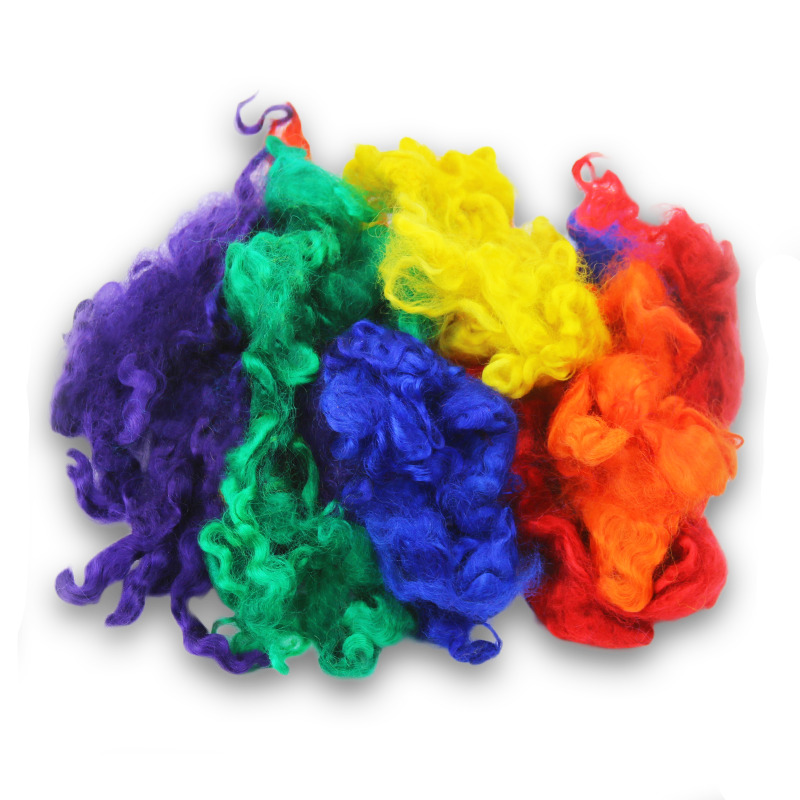 Please note this wool is minimally processed to preserve the natural curl. There will still be bits of plant matter in the wool. Colors will vary from bag to bag. Sold by the ounce.